In the traditional wisdom of Native Hawaiian elders, people are like flowers that thrive and bloom when conditions nurture health and well-being. The enduring commitment of my life’s work is to collaborate with others in enhancing conditions that promote health for all. Please read on…we may have common interests on which we might collaborate. 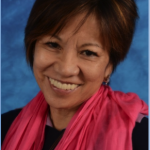 Instruction and Mentorship: I am Associate Professor and Chair of the Health Concentration at the University of Hawai‘i-Mānoa (UHM) Myron B. Thompson School of Social Work (MBTSSW). The vision of MBTSSW is to “advance social work with its focus on social justice…with principal responsibility to generate, transmit, and apply knowledge for the global enterprise with special attention to Native Hawaiian, other Pacific Islander, and Asian populations living in Hawai‘i and the region.” I provide instruction in the practice sequence of the master’s program, with independent research opportunities for BSW, MSW, and PhD students interested in health, health disparities, and peoples of Hawai‘i and the Pacific Basin. I enjoy contributing to the success of upcoming health practitioners and scholar/researchers. A highlight of my SWHIN involvement has been the opportunity to support members’ preparation and publication of manuscripts on cultural safety, indigenous healing traditions, impact of national policies on health social work practice, and multi-generational programming to enhance elder health. Other Collaborations: The Affordable Care Act (ACA) popularly known as “Obamacare” is landmark legislation that promises significant reforms to how people access health care. Emphasized are treating the whole person and moving beyond symptom management. A greatly expanded role for social workers is anticipated! I am enthusiastic about healthcare workforce development in the ACA environment. Specifically, I am involved in community-academic partnerships to advance initiatives on Inter-Professional Education for the broad spectrum of healthcare students and in producing training resources and continuing education to advance the social work role in ACA implementation.